A quick scan of the main quintet line-ups during the Blue Note years fixes Further Explorations to the 1958 front line where Farmer stepped in to replace Donald Byrd and Clifford Jordan briefly replaced Hank Mobley. It was a short-lived quintet as the following year Horace set up his long-term front line of Blue Mitchell and Junior Cook. This takes us from BN 1539 – Six Pieces of Silver through to BN 4250 The Jody Grind, and all stations in between. Except still one. January 1958. I find this Horace title a mixed bag. The title is something of a misnomer, as I was expecting something Further Out when what it delivers a good second helping of what came before. Putting things in context, it was recorded second week in January 1958. That’s almost 1957 in old money. Perhaps from that vantage point it had a more experimental approach to bar structure, elements of latin rhythms, and other references that were novel in 1950’s bop. 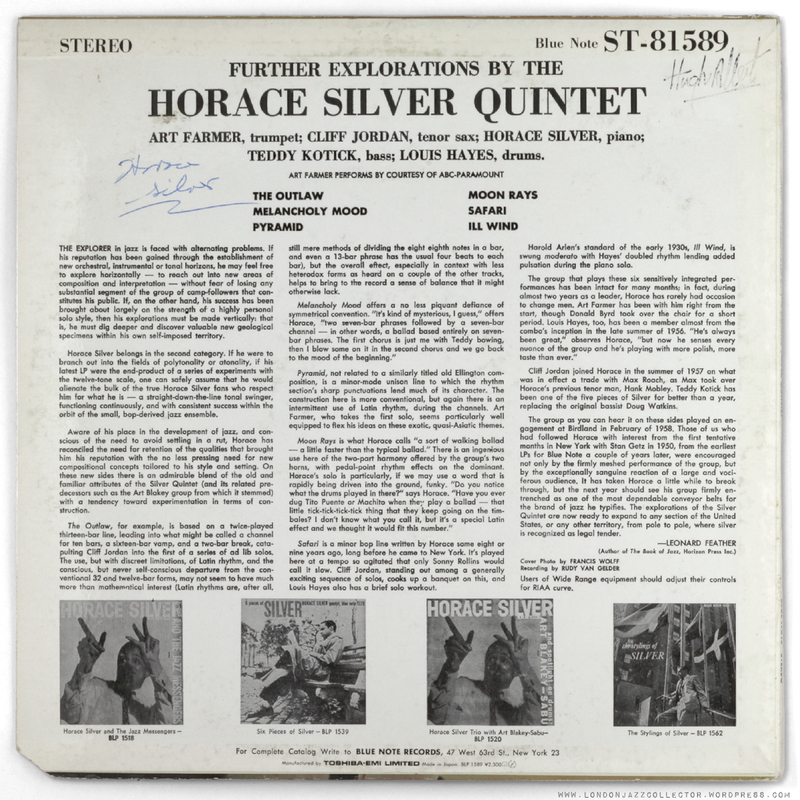 Further Explorations has some of my favourite Horace tracks, and some I confess I don’t warm to. I think the problem is this short-lived line up and the lack of Mobley. With the exception of the selected track Pyramid, Clifford Jordan doesn’t deliver the assured weight of Mobley or his successor Cook. To my ear, his voice is not distinctive, a little Coltrane-light, and his phrasing mostly uninspiring. (Forgive me, Cliff) Occasionally you sense him thinking “What would Hank have played here?” which is where I think he plays his best. Farmer in contrast has a very distinctive and polished trumpet voice, but I sense it pulling towards being an Art Farmer album, not a Horace Silver one. 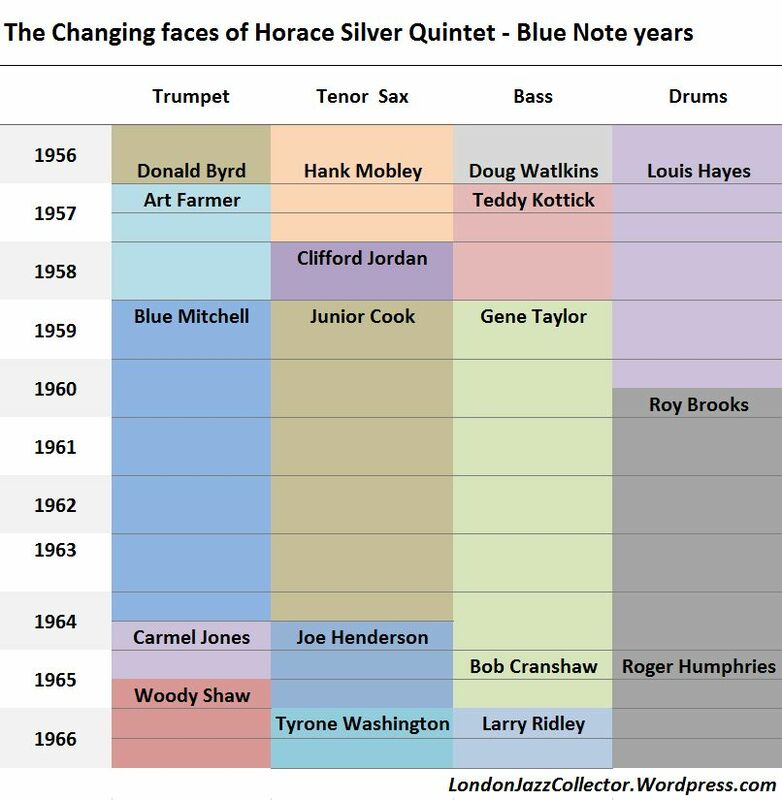 Their long-term replacements Mitchell and Cook fitted more naturally into the rhythmic, bluesy, happy Horace mould, and were a perfect front line for Silver’s compositions. The best was still to come. 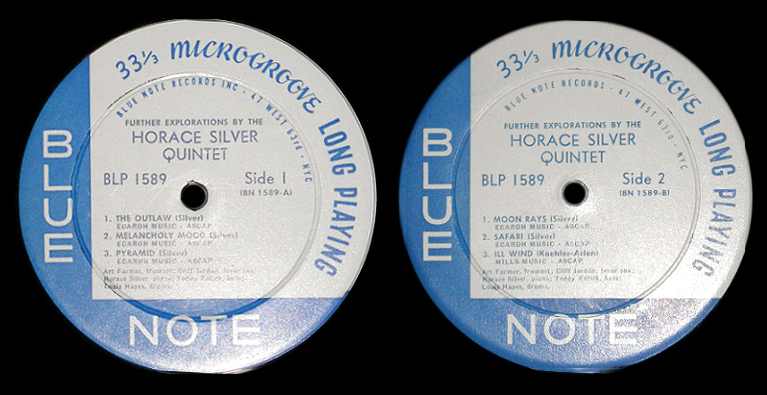 Whoops, got carried away there for a moment, these are from Discogs, where the uploader thinks they have a 1958 original (ear, DG 63rd etc) , but as avid readers of the good Dottor Jazz Guide to Blue Note, The Universe And Everything knows we see the Side 1 label is INC, which dates it late 1959 at the earliest/ 1960, probably later still, reusing old stock labels matched with one for the purpose of copyright assertion. Of course mine is these Japanese stereo labels. Note that Toshiba didn’t bother to replicate the 47W63rd original address in the facsimile, but settled for the later NY label. Tsk tsk. Always read the label. 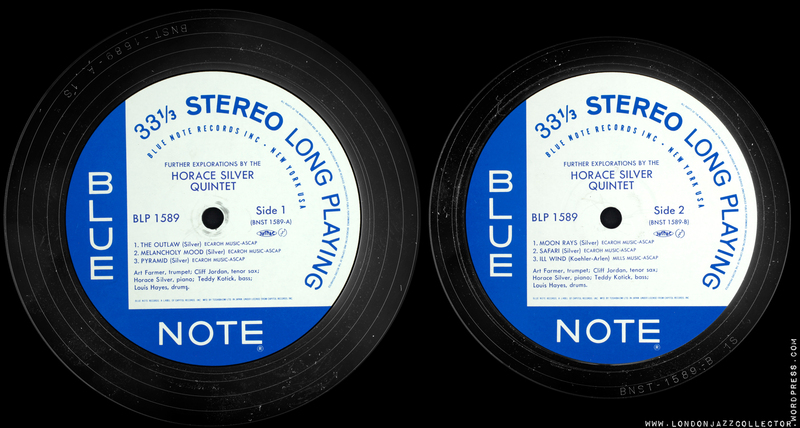 Having said there was one more Horace Blue Note to go, there still is: Silver Serenade, so not quite done. I think it was Bob who was wondering what my take on Further Explorations was. Well, now you don’t have to wonder any more. The track Pyramid is one of my absolute Horace favourites, full of melodic twists and turns, rising and falling pyramid-like scales, and great playing, but I prefer other Horace albums more. If you think I’ve misjudged it, missed the best track, wouldn’t be the first time I’ve been wrong, there is nothing stopping you putting the case for the defence. Don’t spare my feelings, you speak your mind. 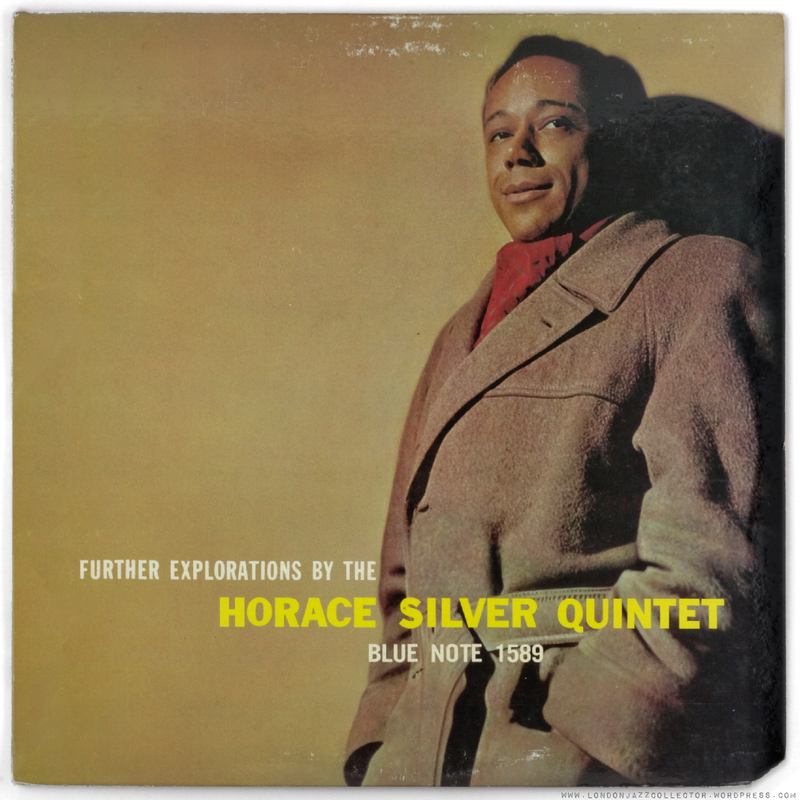 This entry was posted in Blue Note, Horace Silver and tagged Art Farmer, Blue Note, Clifford Jordan, Horace Silver, Louis Hayes, Teddy Kotick by LondonJazzCollector. Bookmark the permalink. I have the Liberty blue/white version from 66-70 (1’st stereo isssue maybe?). I noticed that the sound image on my version is a lot more separated between right/left, than the japanese version LJC has sampled above. The JP version has more of a “mono” charachter – still not mono but more focused to center… Would be very interesting if somebody has a version with “RVG” stamped, and compare the issue from Liberty above with a RVG press, to hear if they are pressed from same matrix/mastertape! Or JP version is the one similar to original RVG…?! LJC – is your copy signed there on the back? Not with the facsimile signature on some of his other LPs, but any actual signature in blue ink? Not my favorite Horace album either. Just lacks a bit compared to the others. 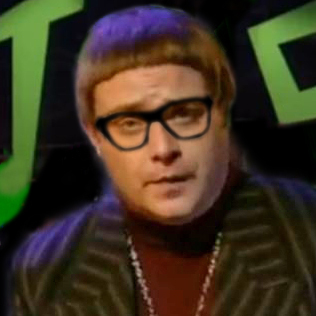 contary to LJC ill advised sherlock dectective work! he will be i beleive be ordering new deer stalker leading up to the winter months! We have your word for it, and since we know at least that is genuine, how about a picture for reference? Interesting how well it compares with these many others. Further Explorations – a perfect album to listen to on a Sunday in autumn. Well of course I’m very happy to see that you reviewed this album, LJC. And yes, “Moon Rays” is quite a nice tune in my opinion ;*) Actually, I need to re-listen to the entire album to formulate a more complete opinion of it. I hadn’t thought about Cliff’s playing as being at its peak when he was emulating Mobley but I’ll listen again with that comment in mind. I do agree that I thought that this album would be more ‘further out’ as implied by the title than how it ended up sounding. Will get back to you soon with more thoughts. Thanks again for the nice review!